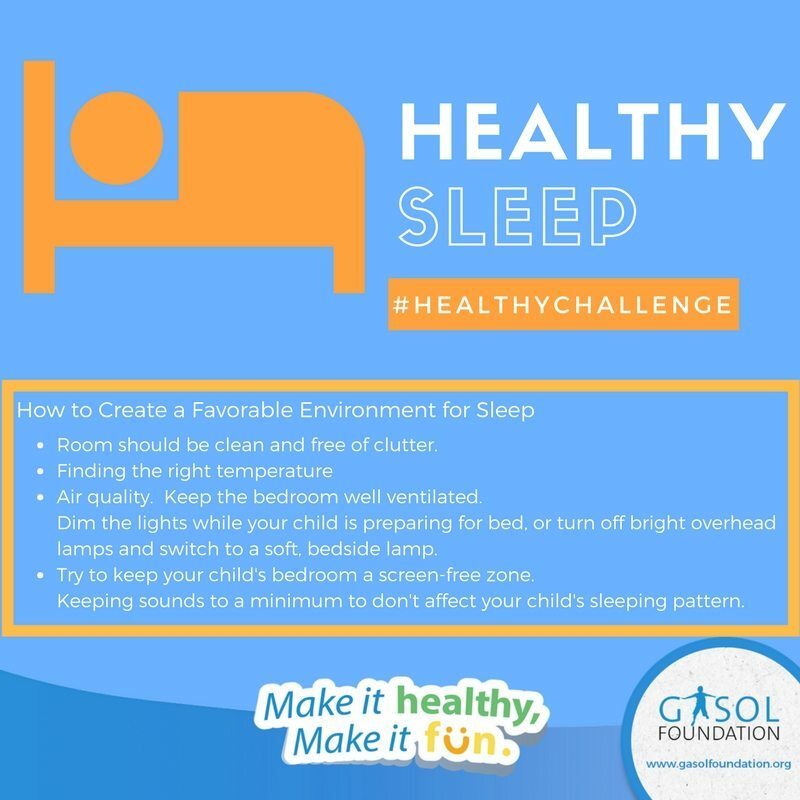 May #HealthyChallenge: Sleep Tight, Don’t Let the Bed Bugs Bite! The right amount of sleep is crucial for the proper physical and emotional development of children. When we sleep, we are not only resting, we are also gaining energy, which allow us to get through our daily activities. When it comes to children, it has been proven that children who sleep the proper amount of hours have minimum risk of suffering from obesity. 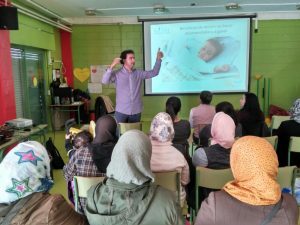 This was the main topic in our Rest- Workshop held during last month at our L’Esport SUMA (Badalona) program in collaboration with Casal dels Infants. Take note so you can prepare the little ones of the house for a good nights sleep! Gasol Foundation is committed to improving the lifestyle habits of children, adolescents and their families to reduce childhood obesity rates. 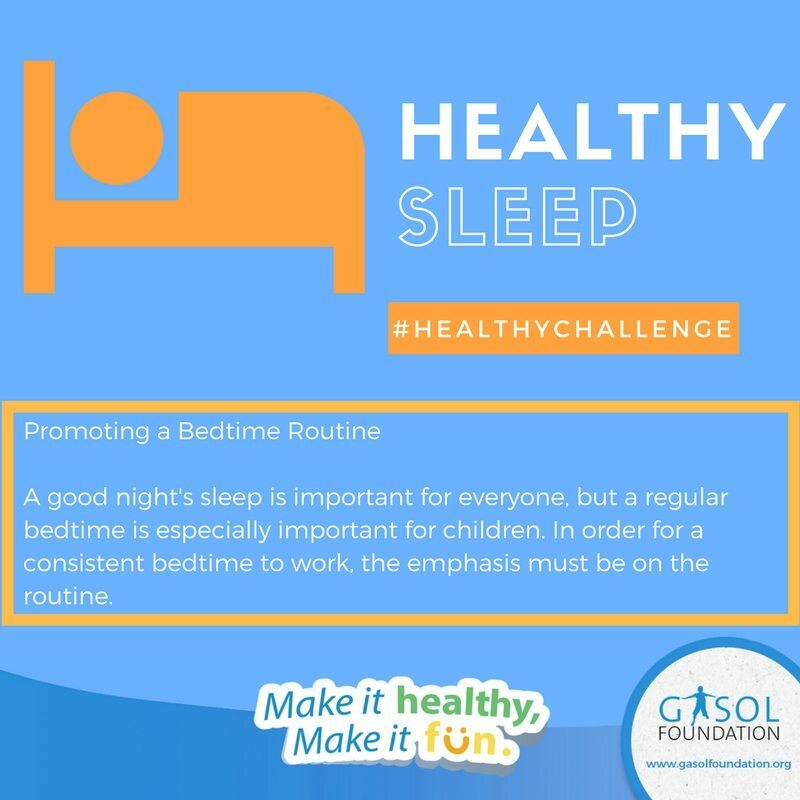 For this reason, through our projects in the US, Spain and on our social media channels (with the hashtag #HealthyChallenge), we will share healthy living advice for children, adolescents and families to reinforce why it’s important to sleep the proper amount of hours – specially for children. Decreases Irritability. Not sleeping enough hours or having a bad night can make children moody and restless. A good night’s sleep helps them to be happy all day! Assists with Healthy Growth. Sleep patterns help cardiovascular, respiratory and endocrine systems of children. Improves Academic Performance. Children have more energy and more disposition to learn after a good night’s sleep, which allows them to retain and everything they learned from the day before. Develops Social Skills. Children that have a good night’s sleep are more happy and cheerful. Therefore, they will be more inclined to play and socialize with their friends. Boosts Creativity. A good night’s sleep helps the brain to recharge, which allows children to let their imagination run wild and explore all their creative talents. Children’s ages 6-12 need between 10-11 hours. Children’s ages 12-18 requiere 9-1/2 hours. 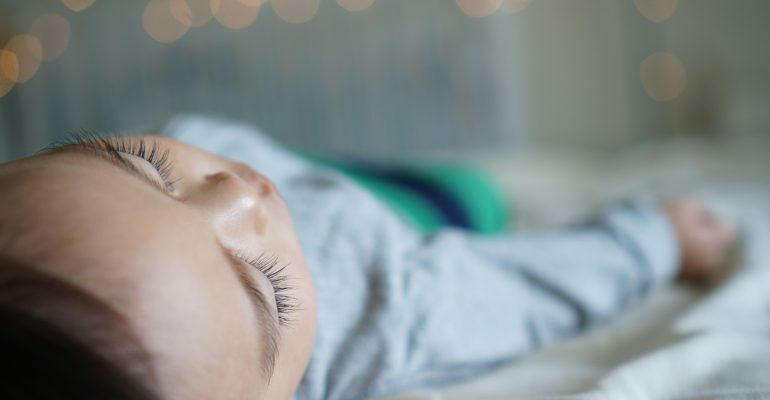 How To Get Children to Sleep the Right Amount of Hours? In order to help accomplish this, we’ve provided these simple guideline that can be applied in your child’s daily routine. Establish a regular schedule of going to bed and waking up both during the week and during the weekend. Teach the child to go to sleep on their own. Create sleep routines such as reading a bedtime story or brushing their teeth. Consume healthy foods during the day, starting with a nutritional breakfast and ending with a light dinner in the evening. Communicate with clearly and with affection the time limit to go to bed and don’t negotiate this limits with children. 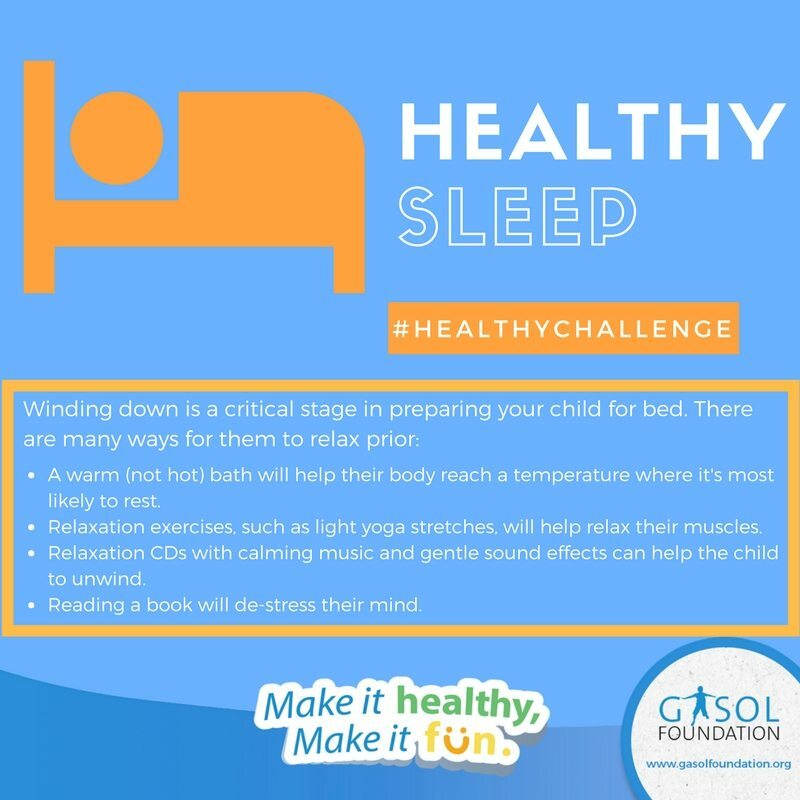 All these little simple nighttime rituals are necessary in order to help children to rest properly. 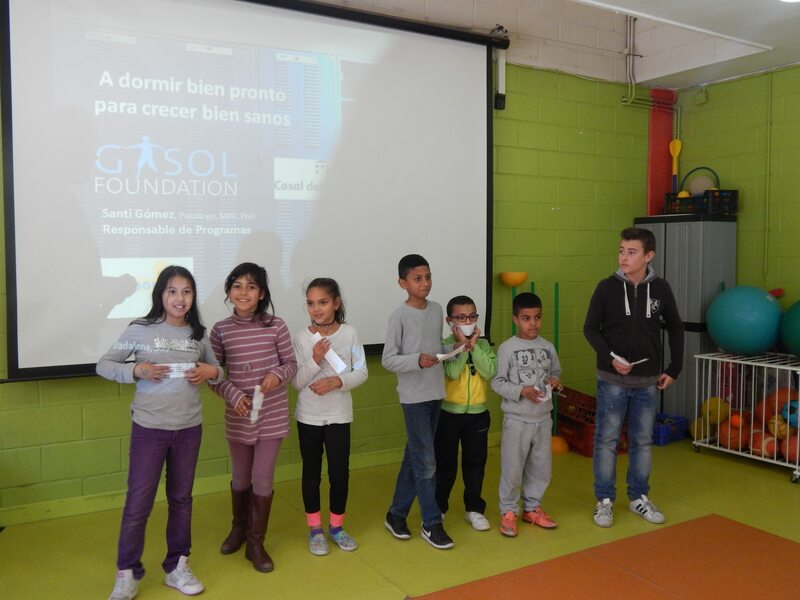 The families at L’Esport SUMA also joined to try the benefits of a good night’s sleep! The parents participated in a dynamic workshop while the children learned about the importance of rest through fun. The main message the kids were able to take away from the lesson was that there will be always a time for everything even when they include sleep in their schedules. They can still socialize with friends, go to school, study and do homework, and participate in their after-school extra curricular activities while still taking the time to make sure they are receiving the adequate amount of rest. The children ended the day with a cute son to their parents explaining why they require sleep routines. This little tune created by children further assisted parents with internalizing the healthy message throughout this fun and dynamic afternoon. As you can see here at Gasol Foundation, we promote a healthy lifestyle based on rest, physical activity, healthy eating and emotional wellness. For these reasons, we encourage teachers, parents and families to share with children the necessary steps to enhance their well-being. On top of these tips we have created some visual cards that compile some of the benefits of sleeping for children’s developing. What about printing them and sticking them on the fridge or around the eating area? It will allow the whole family to beat our monthly #HealthyChallenge in an effortless & fun style! LET’S CELEBRATE WORLD DAY OF PHYSICAL ACTIVITY! 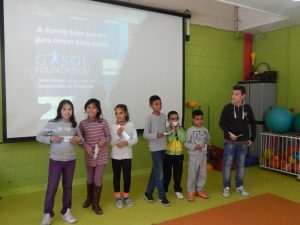 Don't miss any Gasol Foundation's update! Healthy Family Fun for Thanksgiving! We envision a world where all children will enter adulthood physically and mentally equipped to live successful, healthy and productive lives. Do you have a question or idea, or would you just like to say “hi”? Please feel free to send us a note below or a note through one of our social media channels. © 2019 Gasol Foundation. All Rights Reserved.